This is a post in a series on World Religions for Kids, a group of articles packed with resources to help teachers and parents teach their children about World Religions as a means to promote compassion, empathy, cultural understanding, and tolerance. These books are a sample of the incredible list of 300+ multicultural books featured in The Global Education Toolkit for Elementary Learners, a new book with hundreds of easy activities, resources, and projects to help busy educators incorporate global and cultural awareness in their classroom. The books contain affiliate links. Thank you for your support! Use these books to explore similarities and differences in traditions, rituals, beliefs, and celebrations of world religions for kids. Buller, Laura (2005). A Faith Like Mine . New York, NY: DK. Includes Hinduism, Islam, Judaism, Christianity, Buddhism, and Sikhism in detail, with bits on Zoroastrianism, Shinto, Taoism, Jainism and Baha’i, for ages 9-12. DK Publishing (2011). What Do You Believe? New York, NY: DK. Includes all of the largest faiths, many smaller religious, plus ancient philosophers such as Socrates, Aristotle, and Plato, as well as modern thinkers such as Kierkegaard, Nietzsche, Kant, and Sartre. Glossop, Jennifer, & Mantha, John (2003). The Kids Book of World Religions. Toronto, Canada: Kids Can Press. In addition to the general information about the different world religions for kids, it also includes info on leaders and places of worship (focusing on the major religions only). Lumbard, Alexis York (2014). Everyone Prays. Bloomington, IN: Wisdom Tales. Perfect introductory text for kids ages 4-8, with a unifying message that despite our different cultures and traditions, many people have a deep faith. Meredith, Susan (2012). The Usborne Book of World Religions . London, IL: Usborne Publishing. Like many of the other books listed, it includes sections on the main religions and briefly touches on some of the smaller faiths. Unique to this book is the addition of numerous web sites (viewed through the Usborne site) that are constantly updated. Osborne, Mary Pope (1996). One World, Many Religions: The Ways We Worship. New York, NY: Knopf Books for Young Readers. 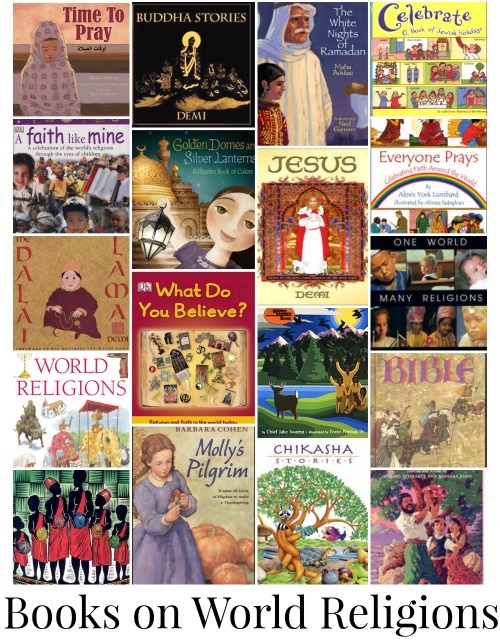 Includes Judaism, Christianity, Islam, Hinduism, Buddhism, Confucianism, and Taoism, for ages 8-12. This entry was posted in Becky Mladic-Morales and tagged classroom resour, Social Studies, World Religions on June 20, 2014 by kidworldcitizen. In our book, The Global Education Toolkit, we offer many examples of common lessons in elementary schools, and show how to bring in a global aspect. Without having to revamp curriculum, teachers can incorporate a global perspective into activities across subject areas. Learning about rivers (among other water sources) is a common elementary school social studies and science topic. 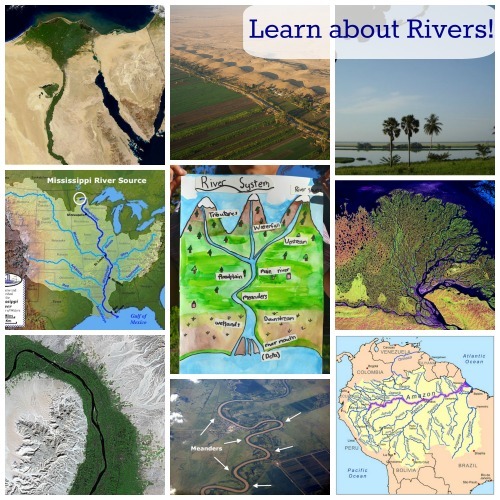 Here’s how teachers can take some of the frequent learning objectives when teaching kids about rivers, and add a global twist! This entry was posted in Becky Mladic-Morales and tagged Geography, Science, Social Studies on February 5, 2014 by kidworldcitizen.